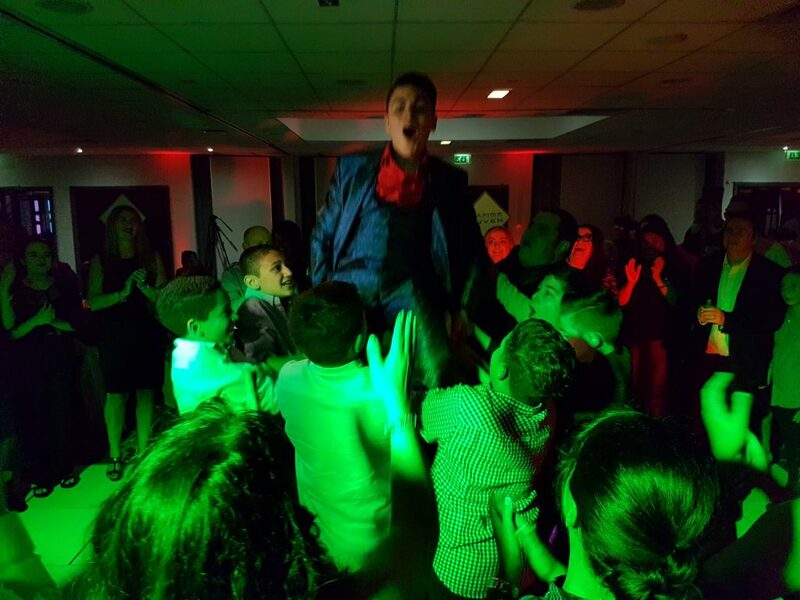 Great fun night celebrating Simon’s Bar Mitzvah at the Village Hotel in Bury! His parents booked DJ Andy B to host the night which was a family party starting with background music for drinks reception, a big introduction for the Man of the Day! Then a traditional Israeli set for dancing before dinner. After food we had speeches & birthday cake! Then it was party time! Set up a the Village hotel Bury. Simon up in the air! 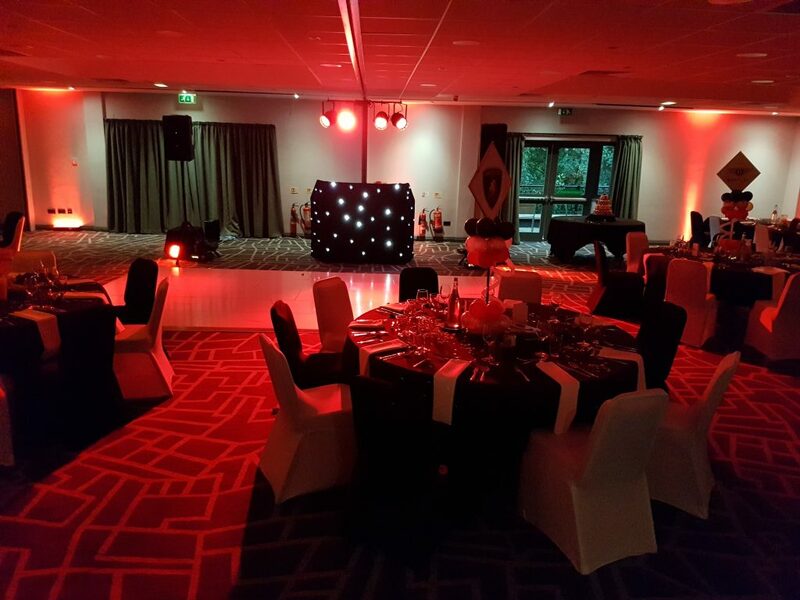 So, if you’re looking for an experienced DJ to host your Bar/Bat Mitzvah in the Bury (or North West) area, email your enquiry to andy@andybevents.co.uk including date, venue, approx. timings, size of party & if it’s a family event with all the formalities or just a junior disco.